The good people at Shout! 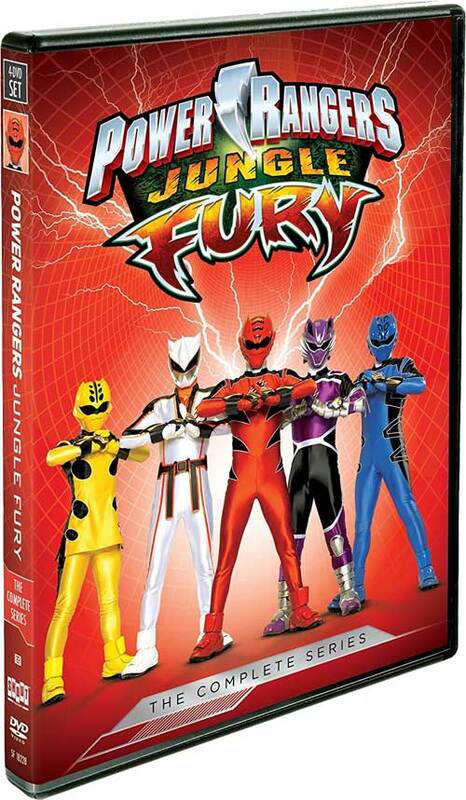 Factory have announced the next Power Rangers Complete Series DVD set- Power Rangers Jungle Fury! This 4-disc set contains all 32 episodes depicting the Jungle Fury Rangers face off against Dai Shi to stop the Great Beast War. Power Rangers Jungle Fury: The Complete Series will be released on December 12 2017! The price is a very modest $16.97 USD and the set can now be preordered from Shout!’s main site. Hey, one of the seasons I genuinely enjoy! Still need to watch this. I only saw the premier and hated the actor that was playing Rio, but I heard he got better as the show went on. It is good but be warn there are two episodes right next to each other that contradict each other bad. Can only blame it on a writer strike during the time. its a long wait but it will be worth it.